Radiation Protection Products, Inc. (RPP) worked with Saudi Arabian contractors, designers, and architects to provide materials for medical imaging facilities being built in a massive expansion project at Princess Nora University in Riyadh, Saudi Arabia. The project was a long, involved process that ultimately required more than a year's involvement by RPP. 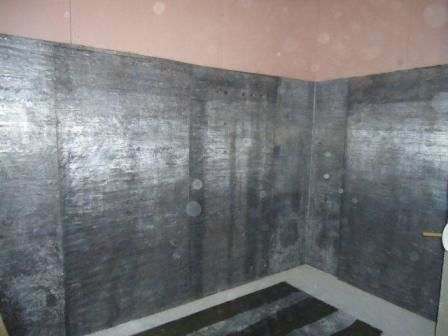 Throughout the Princess Nora University project, Radiation Protection Products supplied a number of material cost quotes, product data and certifications, and product samples, to ensure that the ideal materials were used in the final construction. RPP supplied sheet lead and lead lined plywood in various thicknesses for the contractors building the university hospital expansion, as well as leaded glass. Radiation Protection Products helped engineer and design effective methods to meet the project's requirements. Due to the distance between the involved parties, it was key that all products being shipped overseas meet specifications. RPP coordinated with other vendors to ensure that the supplied materials would match the exact requirements needed for construction. RPP also provided consultation on the best practices for handling and installation of the materials supplied for the Princess Nora University project. Over the course of the project, despite long distances and language barriers, Radiation Protection Products was able to meet and exceed the expectations of their overseas counterparts. The Princess Nora University expansion project was completed in March 2011.